The image above is the Flower of Life; you may have seen this image slightly differently before with the petals filling the whole of the image. 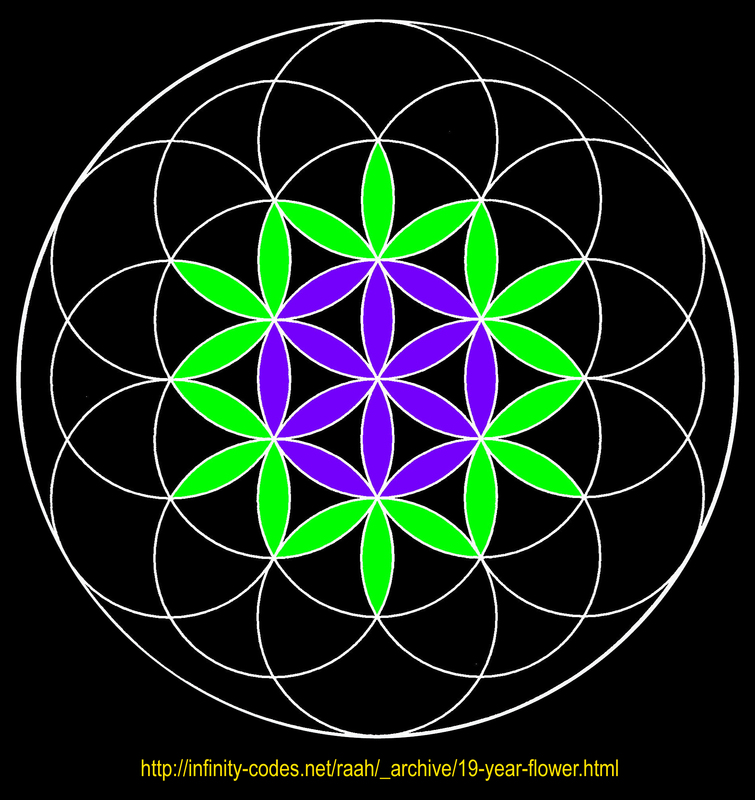 This version is made of exactly 19 interlocking circles (plus outer circle boundary) and is the basis from which the other version of the Flower of Life grew. To understand it as the basis requires us to acknowledge that the basis for Life on Earth is the combination of the energies of the Sun & the Moon, without which life would not exist. 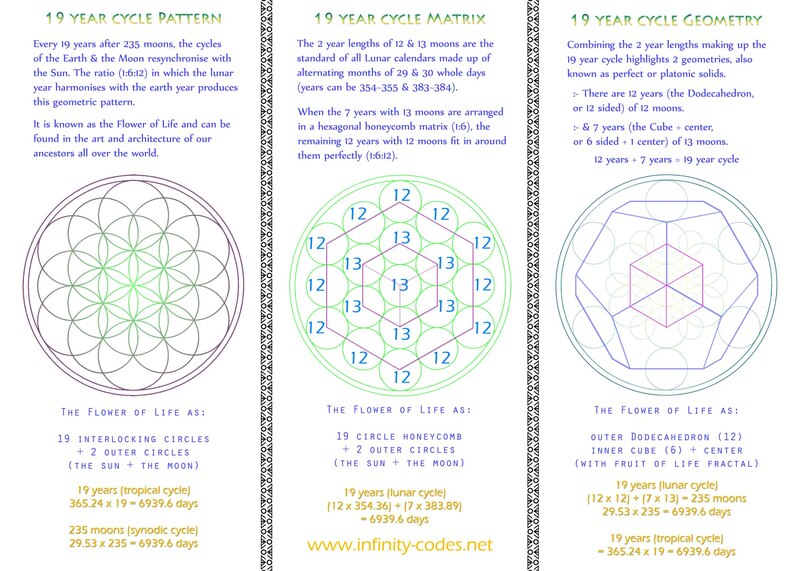 The 19 year Flower of Life matrix is the 3rd stage (flower of life) of growth / genesis, 6 + 6 + 6 + 1 = 19 years, from the original 6 + 1 = 7 days of the week, which is the 1st stage (seed of life). The 2nd stage (tree of life) is 6 + 6 + 1 = 13 geometric months in 1 year.